All for one, and one for all! 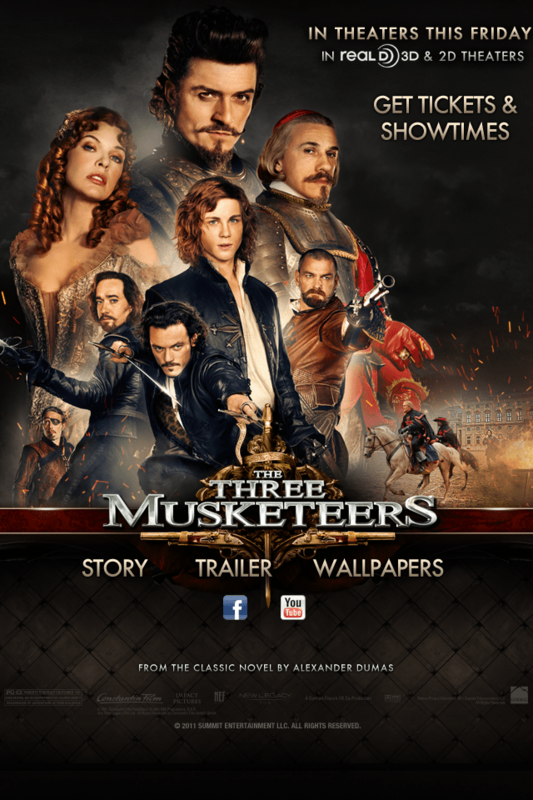 Animated special effects welcome visitors to the official site of Summit Entertainment’s film, The Three Musketeers, created in Adobe Photoshop and Unity. The mobile version has a simple navigation which includes Story, Trailer, and Wallpapers section. A Tickets & Showtimes banner also lets users easily search for upcoming movie screenings and purchase tickets. Collaborated with Trigger’s creative director and software engineers on this website. Developed for desktop, mobile & tablet.